Ellen Pompeo, aged 49 years old. The actress weighs 57 kg (126 pounds) and has a height of 5’7” (170 cm). Her workout includes sit-ups, planks, and an abs workout, which helps her maintain a 36-26-36 figure. Ellen Pompeo was seen directing Grey’s Anatomy in 2017. Best Known For: Playing the main role as Dr. Meredith Grey in the ABC’s medical drama series Grey’s Anatomy since 2005. She is also the narrator in the television show. After her pregnancy, Ellen Pompeo hired trainer Gregg Miele. He helped Pompeo tone her abs with a stability ball. She also did plank-ups, which are a combination of sit-ups and planks. She even meditates twice daily for at least 20 minutes each time. 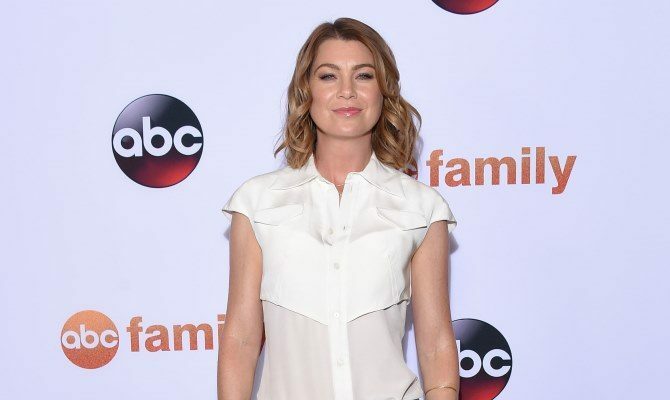 Overall, Ellen Pompeo has a very healthy lifestyle, and credits eating healthy foods to her thin figure. Some of her dietary staples include chickpeas, bananas, mangoes, sardines, and almonds. She is also a big fan of salads, including with lettuce, beets, cilantro, parsley, scallions, beans, and goat cheese. On occasion, she does indulge on some favorite dishes and foods like salami, red wine, lasagna, and pizza.